Being a photographer is a great way to spend a life. It’s my job, but it’s also way way more than work. When I was asked to write a little something on what it’s like being a professional photographer, I had a very hard time honing in on how to describe what it’s actually like. I mean, what isn’t it like? We have to be artists…creative left-brain people, and at the same time, we have to be business oriented, strategic right-brain people. We have to be able to read people whether they are our clients or our subjects. We attempt to satisfy so many people with our pictures, and usually pleasing ourselves gets put on the back burner. We embark on this journey because of our love for the art and somehow have to maintain that wide-eyed optimism throughout the painful rejection and disappointment. I can only speak from my own experiences, and I make a living as a portrait photographer. It’s funny how things work out because I would never in a million years describe myself as a “people person”. I’m not good at small talk. I’m fairly awkward in general and not very social. Honestly, I think I initially wanted to be a portrait photographer for superficial reasons. It seemed so glamorous, and I wanted the notoriety. Turns out there’s a little bit more to it, and I would probably say that I have learned more about myself than about photography in the past 10 years. The technical stuff is easily absorbed if you are observant. Portrait work is much more about people and personalities. It’s about me as a photographer and artist trying to get my point across and just as much about capturing what the subject is willing to present. I have to form some sort of bond with my subject basically upon first meeting. I have to gain trust almost immediately. My awareness of the subject’s comfort and/or discomfort must be acute and subtle. I never want to seem unsure. I never want to seem uncompassionate. I always want to let the subject know that I am open to anything, but at the same time, I must have a focused idea of what I want from this shoot. There are many things to consider. Over time, my want of glamour has subsided and given way to a want of meaning. I wonder if where I started will be where I end up. Making a living as a photographer is not for the weak or stupid, not for the whiny (although I have been known to whine), and definitely not for the unsure. When all else fails, and inevitably everything will fail, we need to be secure in the knowledge that this is what we are supposed to be doing…even if we are the only ones who think so. I’ll be the first to admit that self-confidence is not an easily learned trait, especially when my (and any professional photographer’s) success depends on other people’s opinion of my work. The good part of what I do is that it’s almost never boring. Photography is mentally and physically challenging. It never allows me to become complacent or satisfied (and I see dissatisfaction as a positive mechanism). The bad part is that when you choose this as a profession, instead of simply a passion, it becomes work. Be prepared for competition, unfairness, and paperwork. Be prepared for disenchantment, but also be prepared for an extremely unique journey that I feel utterly privileged to experience. 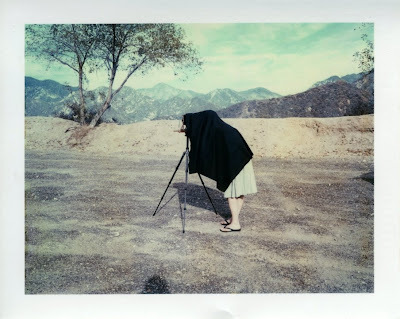 Emily Shur is photographer living in Los Angeles. Emily, you are so right! I too am a Professional Photographer for 23 years now. I would call myself a commercial Photographer specializing in People and Product. I am shooting more fine art for myself, which has kept my passion alive & is the best thing I have done for myself. That is advise I would give to all photogs. (I got bored with seeing so much repetition in the commercial field and wanted my work to have more meaning.) It is good to see more women in the field, but still not as many as I had thought there would be 20 years ago. 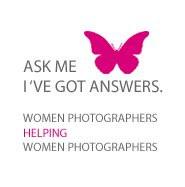 I was the first woman commercial photog in my town and what a trip it has been. Upon showing my work, many male art directors asked me if I really took the photographs or if someone helped me take them? This was not a question that would have been asked by a man showing their portfolio!